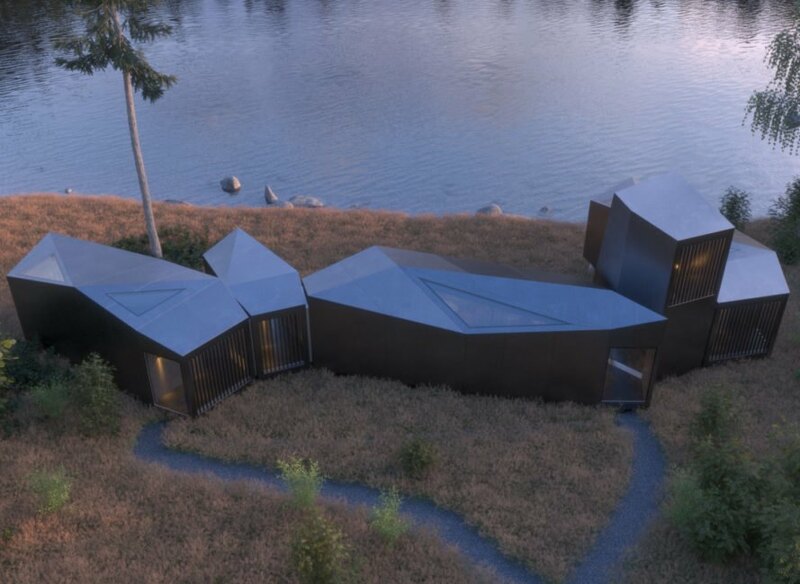 From crystalline-inspired homes to funky cargotecture office spaces, James Whitaker‘s unique shipping container designs have taken the world by storm. 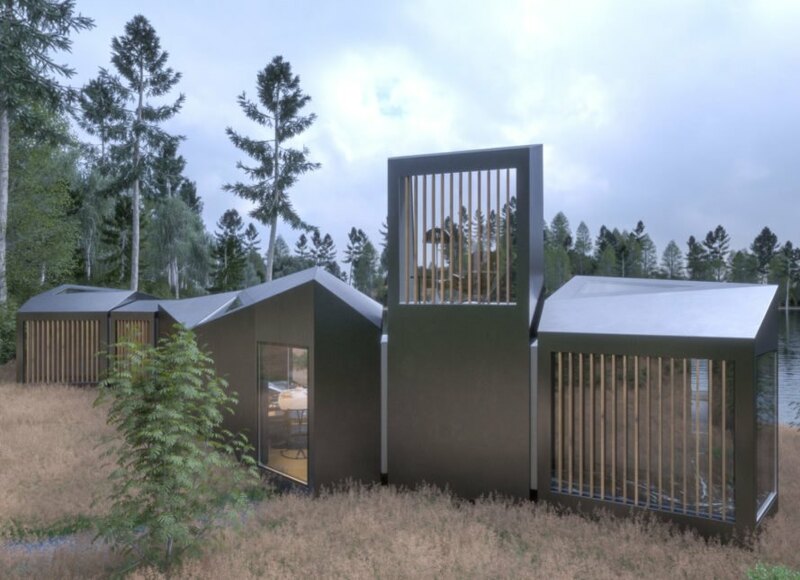 However, the prolific architect is now branching out to design modular homes that not only add more versatility to home design, but can withstand various climates. 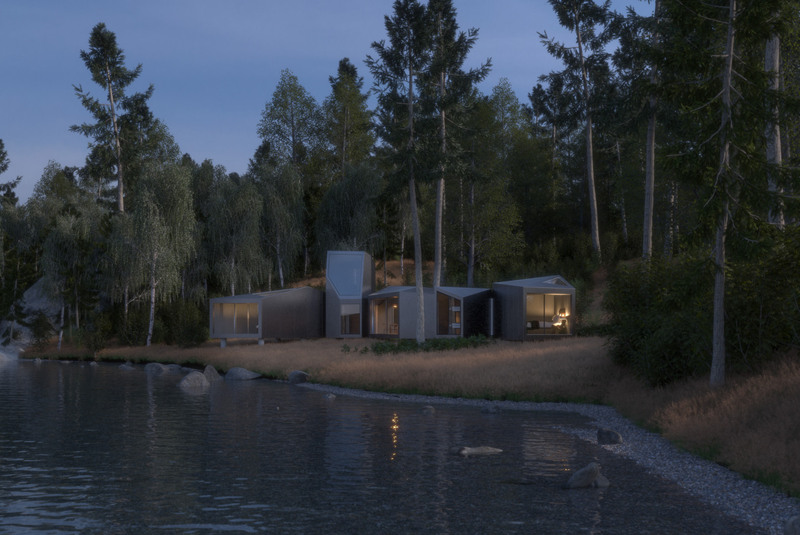 Whitaker has just unveiled the Anywhere House, a lakeside residence comprised of multiple prefabricated modular units. Slated for completion in 2019, the home will be the first property built using Whitaker’s prefabricated modular system. 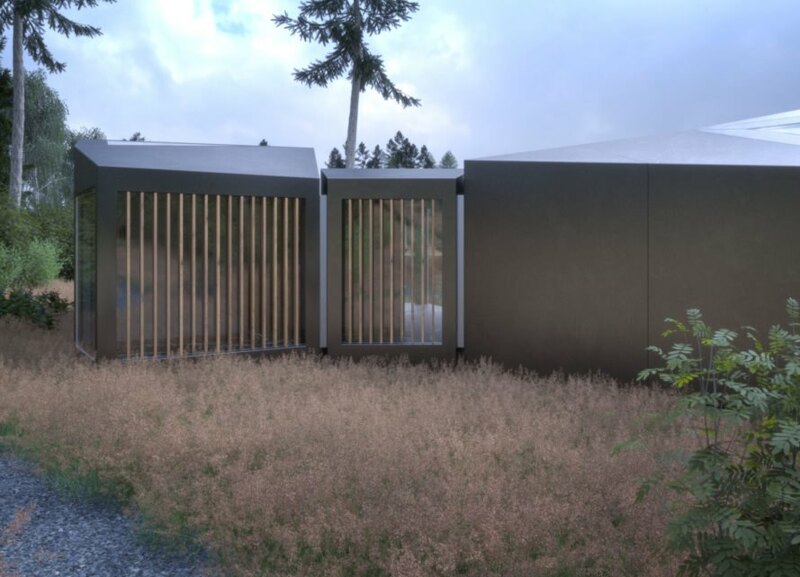 Known for his unique designs that include building with shipping containers, Whitaker has now developed his own prefabricated modular system, which can be used for a number of purposes. After receiving numerous requests to build the “starburst home” design in various regions, Whitaker realized that he needed to develop a new system that could be adapted to different climates. 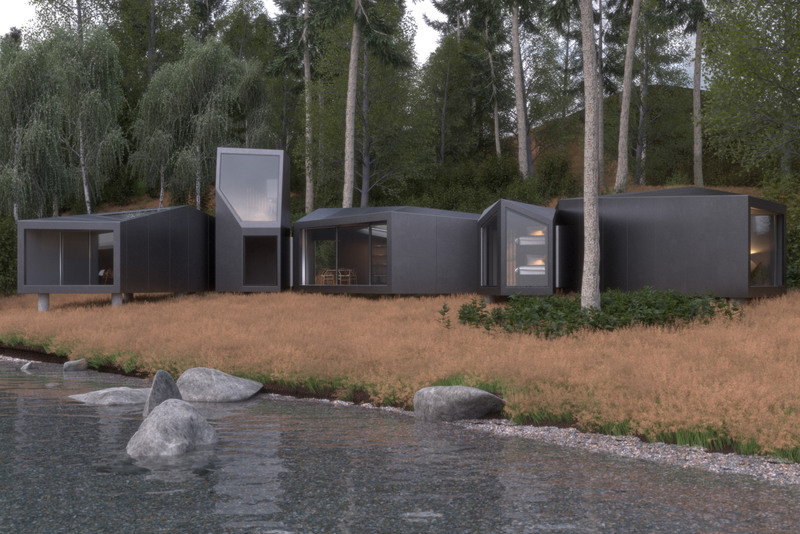 His new prefab modular system’s resilience will be tested with the Anywhere Home, which will be built lakeside in Alberta, Canada. The Anywhere Home will contain a number of separate volumes, either clad in patinated steel, or finished in stainless steel. On the interior, timber paneling will be used on the walls and ceilings and marble flooring will run throughout the living space. Large sliding glass doors and multiple windows will flood the interior with natural light. The design of the modular structure is meant to offer optimal flexibility and versatility. The modular system is comprised of individual, but connected volumes that differ in shape and size. The units would be adjoined through two or more openings or closed off to be used as a singular space. The modules range in size from one to two levels and have slanted roofs that jut out at various angles. 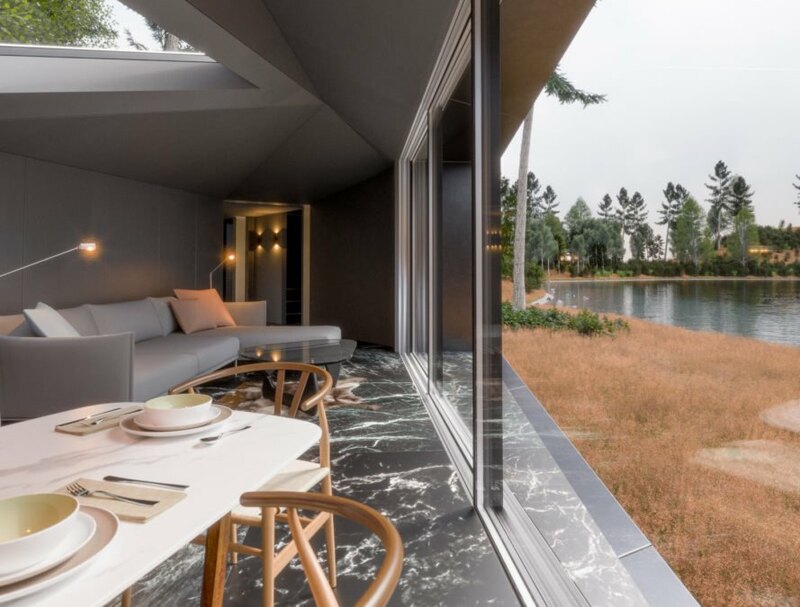 According to the architect, his inspiration for the home design was to create a design that could withstand various climates, but also provide a unique design that could be configured depending on the use. 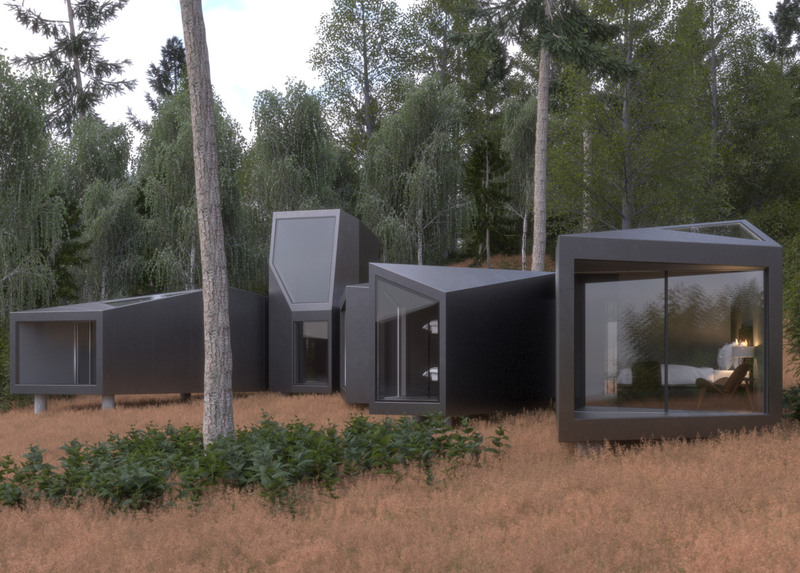 The modular prefab system could be adapted into a home, a hotel, social center, etc. 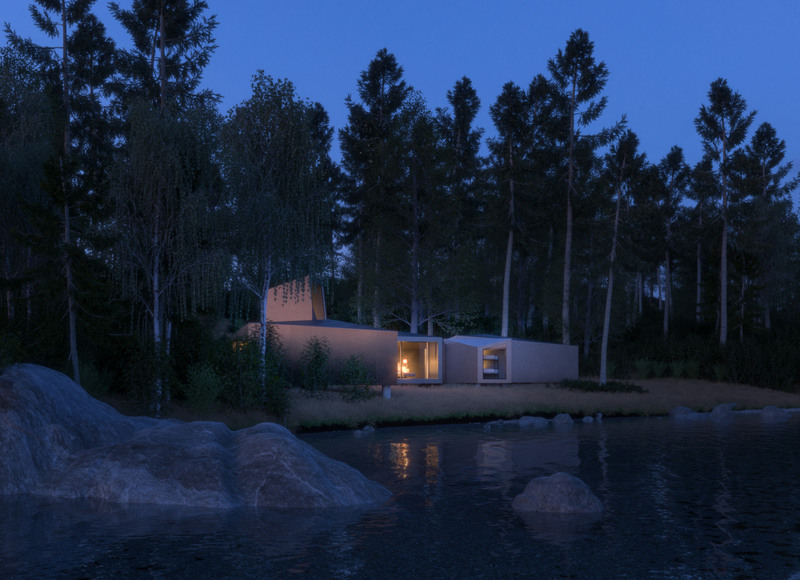 The Anywhere house will feature modules that are fabricated off site and small enough to be easily transported. 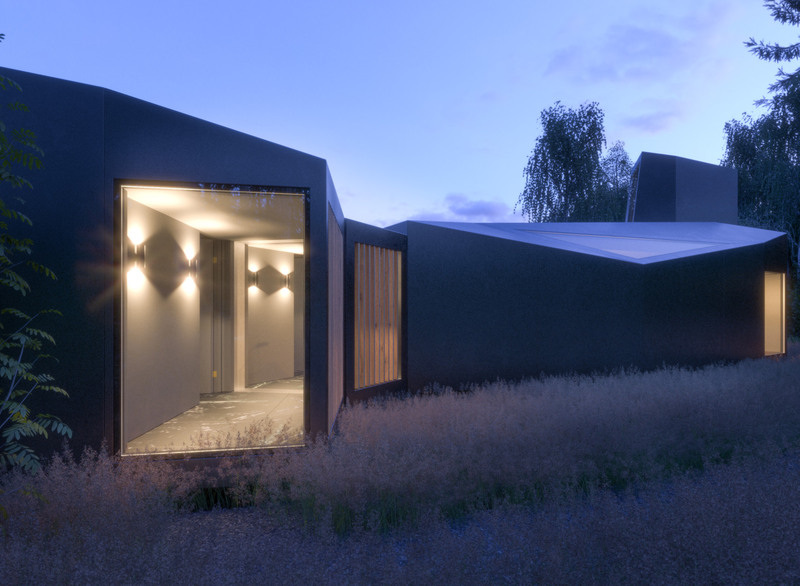 James Whitaker has developed a prefab modular system to create an all-weather home design. 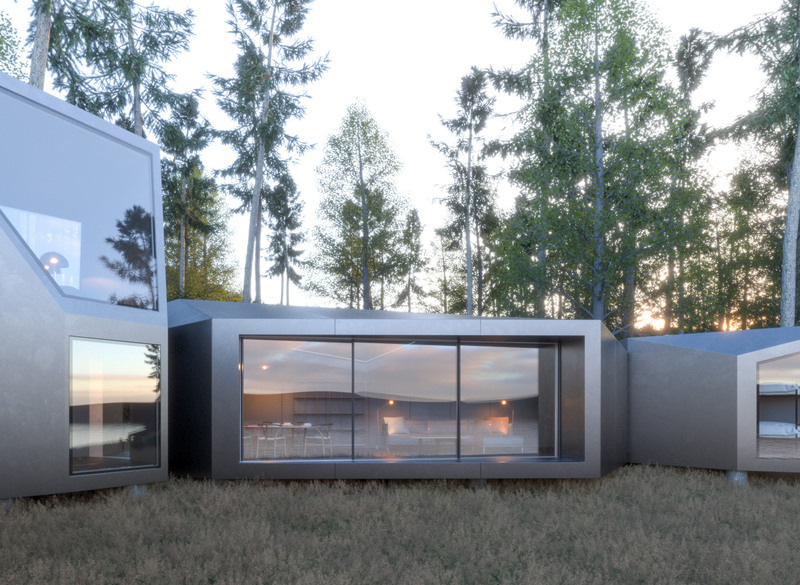 The modular system of the Anywhere House will enable a high level of versatility to the design. 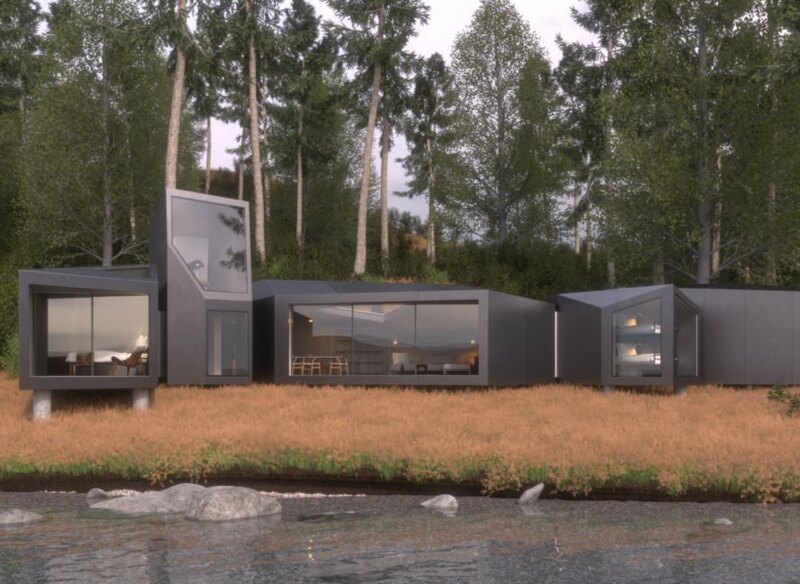 The Anywhere Home will be located lakeside in Alberta, Canada. 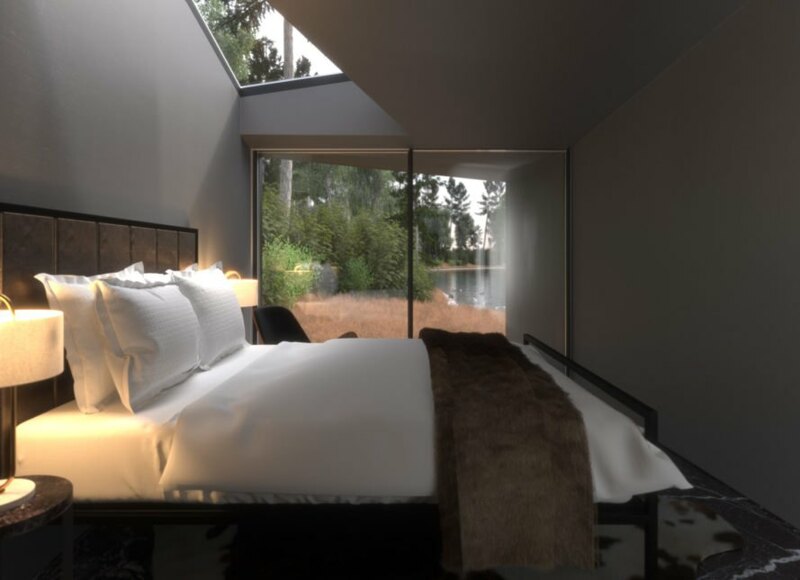 The structure will have large windows to flood the interior with natural light. The individual volumes can be configured in a variety of layouts. Each unit can be connected through openings or completely closed off. The flooring would be finished with marble. Each unit will have various openings that can be connected to other units. The units would be manufactured off site. A combination of steel and metal cladding is used to make the structures safe for harsh climates. The various units can be configured in a variety of ways. James Whitaker is known for his unique shipping container architecture.